Beloved Community; I often write about what it requires, what detracts and destroys it, or enhances and creates it. Today I must, in order to process the events of my past few weeks, write about Beloved Community as a recipient and a participant. This is about reflection more than instruction. Besides the string of below zero days in Minneapolis, the week has been filled with events that have disturbed and challenged my soul. Consider this post a string of beads that I have been rolling in my fingers. While they are different sizes and colors they are held together by a common thread, the “Beloved Community” which weaves us into a common fabric. 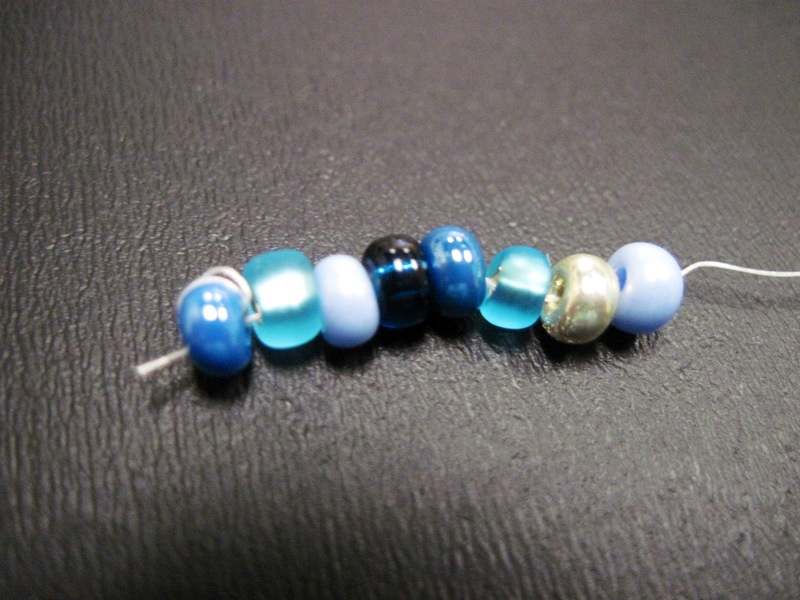 Each of these beads, on the surface is about loss, but because of the power of community, loss is transmuted into hope. The first bead was handed to me unexpectedly by “mi carnal.” With an unusual seriousness he stated, ‘It’s time I need to go home. To Mexico” The push / pull factors? A ailing grandmother (who has been the primary maternal role in his life) and a growing sense that his freedom in this country was limited. This “brother” has been at my side for years. Together we explored the basis, benefits, and limitations of community, of brotherhood, and of friendship. He needed me to accompany him part way and then sell and dispose of possessions he was unable to bring. It was a sorrowful trip but we also had opportunities to dream of a mutually beneficial future. Saying ‘goodbye’ has been difficult. The heaviness was lightened by texts, calls and messages from friends who share this in this commitment of community. In helping my friend depart, I am forced back to the foundation assumptions of our friendship; a shared commitment to a larger purpose and trust in the other. The second bead I received when talking to my son on a phone call, while on our journey to Mexico somewhere in Texas. 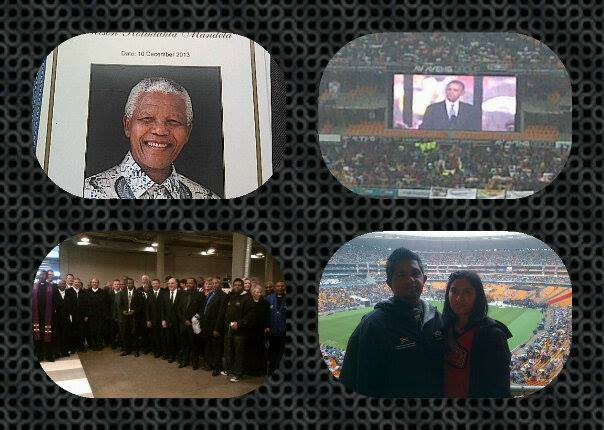 “Hey Dad, did you hear that Nelson Mandela died.” He had greatly inspired my own journey to beloved community. His commitment to truth-telling as a basis for forgiveness and reconciliation kept South Africa from becoming a blood bath of retribution. He and Bishop Tutu inspired myself and many in the world to believe in alternative scenarios to resolving conflicts; not through the force of violence but the force of truth and love. 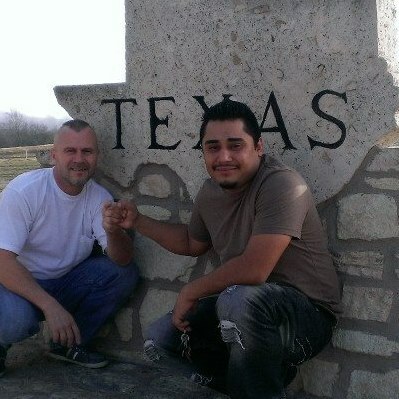 I was on a physical journey, across Texas that was the result of the kind of solidarity, ubunto, advocated by Mandela. I mentally rolled this bead about in my mind. In the days to come I was able to enter into the celebration of Madiba’s life through the experiences of partners in this journey; friends who have inspired and touched me and who had had the opportunity to meet Mandela in his life, and now were present in the ceremonies of his departure. The final bead in this collection arrived with the low-setting sun on the cold prairie horizon. 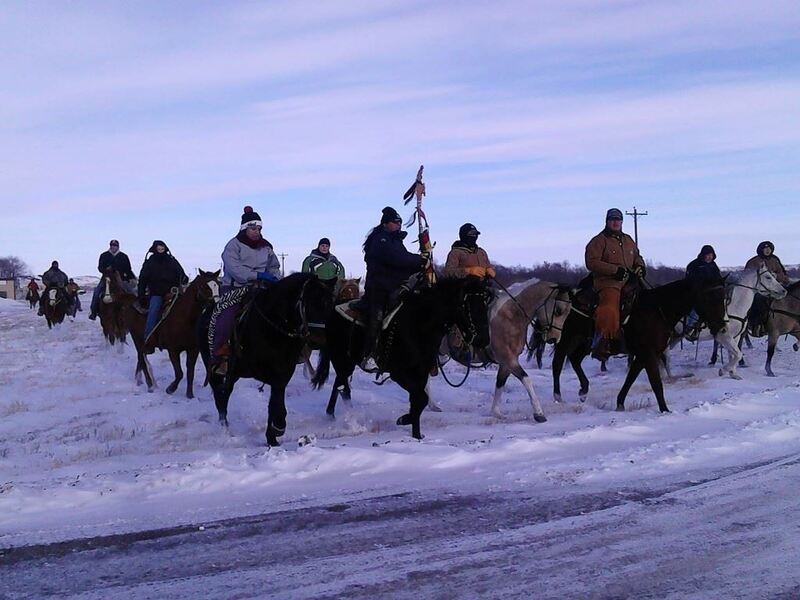 I didn’t need Facebook nor email to remind me that the Dakota 38 Memorial Ride was about to begin in South Dakota for the journey to Mankato. The ride’s two pronged focus is to remember and tell the truth of this dark chapter in Minnesota history of 1862, while also serve as a vehicle for reconciliation and healing. Healing and reconciliation, within the Dakota Community and between the descendants of the white settlers and the descendants of the executed and exiled Dakota. Last year I was blessed to join the ride. The lessons I learned, the experiences and relationships gained will be with me forever. My soul yearns to be at their side, on the horses, in the trucks, and ceremonies. While work commitments keep me here in Minneapolis, I am there in spirit. Being in community has great rewards, but the rewards come at a cost. Each of these experiences is made possible ( the joy was heightened and the pain made bearable) through the community of love and commitment we share; a community not defined by the roles of race and status but by the humanity we share and the divinity we follow. However this level of community is not a casual connection; personal freedom and beloved community cannot always co-exist. At some point one must choose to exercise personal freedom or experience beloved community, to embrace the roles of race or whiteness or reject their limits in exchange for a human identity . The past weeks have reminded me that I exist because you are; ubunto, my identity is not limited to self-actualization , but arises out of my integration with the creator and those around me. Unity or Destruction: Advance the Kingdom of God or Conserve Your Society? Unity or Destruction; Advance the Kingdom of God or Conserve Your Society? An Immigrant Story; Is it ‘Self-deportation’ or ‘Controlling your own Destiny’? Undocumented Immigrants are not Disobedient Teenagers. on the journey to beloved community….